This spicy asian flank steak is SO good. I do not think I need to sell this recipe any more than that because I know that once you try it, you’ll make it all the time. It is that good. 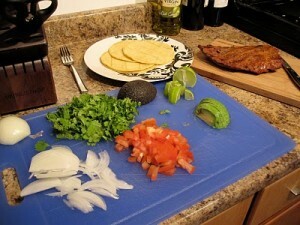 The secret is cutting the finished product correctly: you can see from the photo that I’ve sliced the meat very thin. 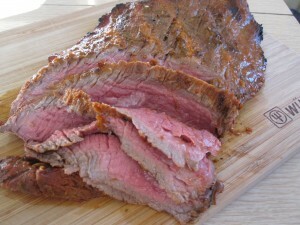 The reason is that flank steak is a tough cut of meat, so by slicing it thin and across the grain, you get to enjoy a meltingly tender bite of steak. Winner, winner, steak dinner. When ready to grill, discard the marinade, and grill the steak on high heat to desired doneness. 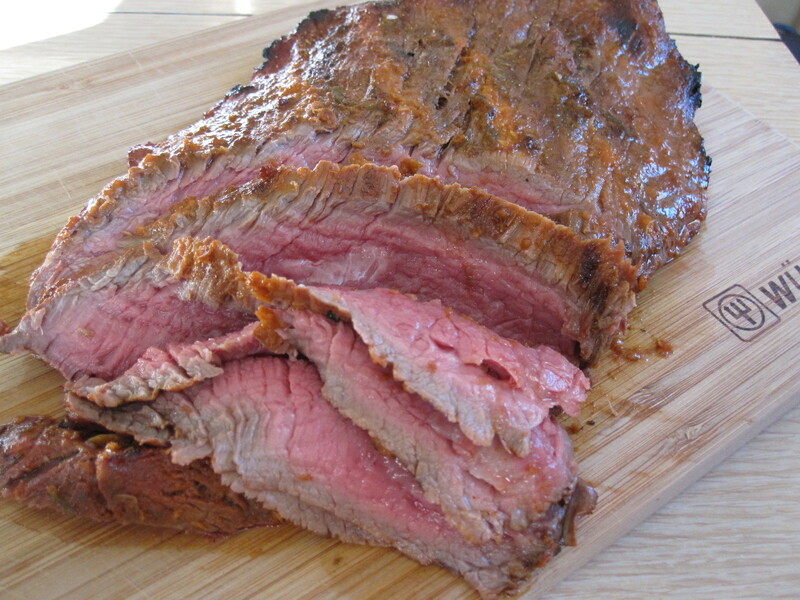 Steak should not exceed medium rare for optimum tenderness; many people prefer flank steak to be medium rare. Grill 4 to 5 minutes per side; remove meat and let sit at least 5 minutes before slicing; if more grilling is required, grill 1 to 2 more minutes per side. Remember to thinly slice it across the grain. To enjoy this gorgeous flank steak, try the following: thinly sliced onion, avocado, diced tomatoes, cilantro, lime, and corn tortillas.